Find your perfect holiday with these great Parkdean offers and deals. 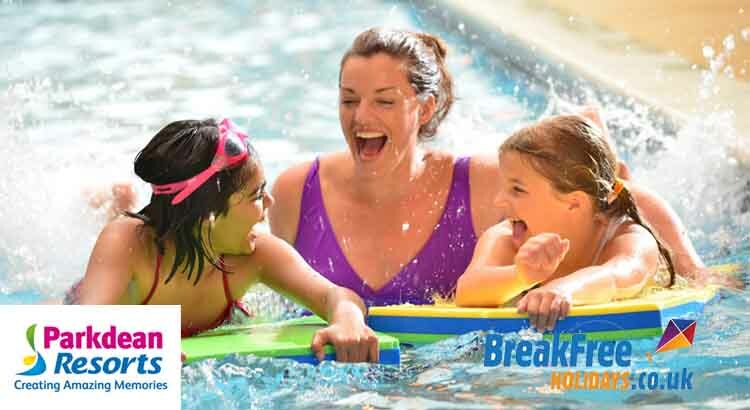 Book early and save up 30% off your 2017 holiday and pay just a £20 deposit and get first choice of their 24 award winning family holiday parks throughout the UK. Get ahead of the crowd and book your 2017 holiday today and save £150. This Parkdean Resorts Special offer is available for a limited time only. Hurry and book quick as this offer expires soon. 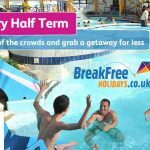 We’ve teamed up with Breakfree Holidays to bring you the best Parkdean holiday discounts. So if you love camping and touring holidays or simply looking for a holiday park that’s great for kids then Parkdean resorts is for you. 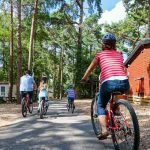 With awards such as Gold winner in the British Travel Awards for “Best Camping & Mobile Holiday Company” and “Best UK Holiday Parks Operator, not only are they the best in their business, but also they have some great value holidays with loads of extras included. 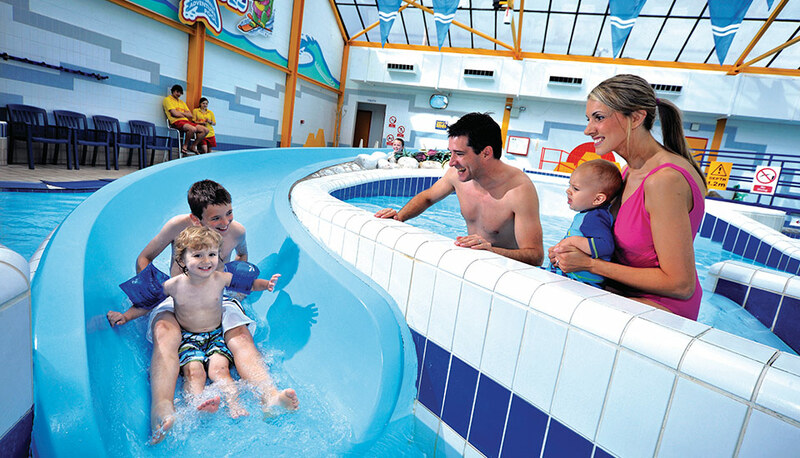 Parkdean Resorts is just great for families. Every holiday park has pools, sports, children’s clubs and entertainment. On most parks there are indoor and outdoor pools, kids clubs, and day and evening entertainment led by the energetic Teamstars. Superb stage shows and live entertainment include the Glitz of Gatsby, which brings to life the decadence and glamour of the roaring 20s, Candyland showcases perfect plastic pop, and I-Rock’n’Roll celebrates the sound and style of the 1950s with a 21st century spin. Stay in modern static caravans that are perfect for self-catering, with all including a TV, fridge, microwave, oven and fire. As you move through the grades the accommodation gets bigger, with features including central heating, double glazing and flat screen TVs included. Dogs are welcome at Parkdean Resorts and they even have their own programme of events with Bark Resorts! Shows, gymkhanas and organised walks are included. With indoor and outdoor pools at most destinations in the UK. 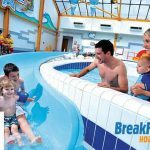 You can find water flumes, giant inflatables, rafts, water walkers and a whole host of pool-based activities, plus baby sessions and sensible swim for those who want something a little more relaxing. So if want to book ahead and get the best choice of accommodation at your favourite holiday park plus making a great saving as well, then this Parkdean holiday offer is just for you.